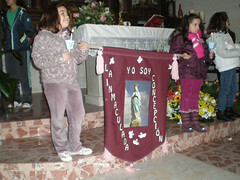 The children and adolescents of our catechism classes in Fabero decided to join in on honoring Our Lady! 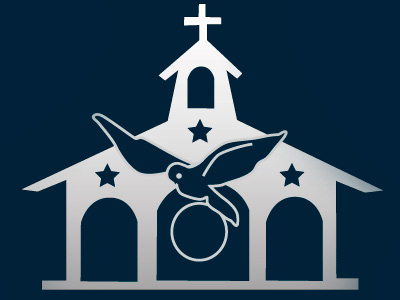 As we had already prepared banners in honor of Our Lady during our last retreat for girls in Toreno, we suggested the idea of organizing a Rosary for the feast of Our Lady of Lourdes, February 11, to our children and young adults in the catechism classes. Sign up for the Summer Encounters! We now have the dates for the HM Summer Encounters in Spain! 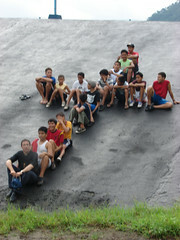 The 2011 Encounters will be held in Peranzanes, Leon (Spain). First, will be the Girls’ Encounter: July 5-12, and then the Boys’ Encounter: July 19-26. The price is 100 Euros. So, sign up now! Living for others brings blessings! 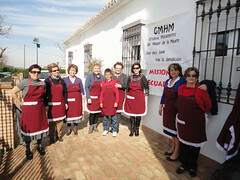 The women of the Home of the Mother in Alcalá de Guadaíra (Seville) organized an open-air market to sell goods whose proceeds would go to the Missionary Groups of the Home of the Mother. 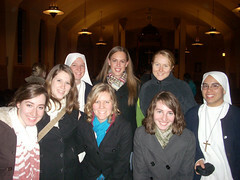 Every January 22, the March for Life is held in the US capital, Washington, D.C. 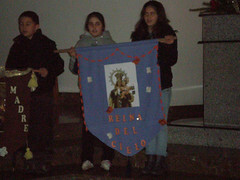 This year, the March was held on Monday, January 24. Less than two months ago, we launched an urgent appeal for new subscribers to the magazine, seeing the danger of keeping the magazine going after the large drop in subscribers in recent years.